We spent most of the day under threat of rain and constantly checking the radar screen on the phone. My floater operator received the call to put us on hold at the field before we had even arrived. This was a 150 acres using a total of 107,000 pounds of fertilizer. As such this wasn’t a small nor quick job and the plan is always once you start it’s got to be finished. 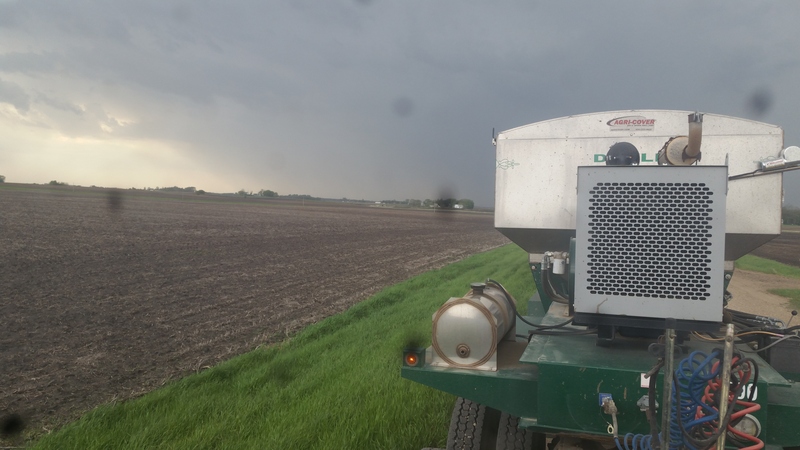 After we spent about half an hour waiting, the rain finally came and we headed back to the fertilizer plant.